The EE-DA-HO Ranch represents one of the few remaining large, intact properties within a half-hour of Sun Valley and the only one currently on the market. With first-rate improvements, diverse water resources, a quality grazing component, and adjoining public lands, the ranch offers a complete package of features and amenities. Only 10 minutes to the commercial airport in Hailey, this stunning 1,550± acre operating and recreational ranch is easily accessible to the year-round resort amenities of Sun Valley, yet it instills a sense of being a world away. The ranch is meticulously maintained and features an outstanding set of residential and ranch improvements, including a 5,885± sq. ft. owner’s residence, manager’s home, employee housing, horse barn, hay and machinery storage, and cattle handling facilities. Excellent water rights and a gravity-flow irrigation system support the ranch’s lush hay fields and pastures. The property’s diverse topography and numerous water features, including a year-round spring creek and several spring-fed lakes, offer habitat for elk, mule deer, grouse, chukar and numerous other wildlife species. The EE-DA-HO adjoins public lands managed by Bureau of Land Management (BLM) and State of Idaho, which provide summer livestock grazing as well as direct access to tens of thousands of acres of the Sun Valley area’s finest mountain country for big game hunting, wing shooting, trout fishing, hiking, horseback riding and mountain bike riding. 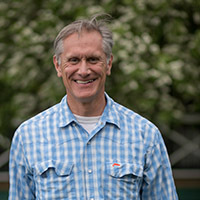 The EE-DA-HO is one of the few remaining large, intact ranch properties in the Sun Valley area.Hall and Hall would like to acknowledge the outstanding photography of EE-DA-HO Ranch manager, Rob Marcroft. The EE-DA-HO Ranch is a well-managed and beautifully maintained working ranch that offers exceptional privacy and unlimited recreation in a spectacular valley setting. Lands managed by the BLM and State of Idaho bound the property to the east, north and south, while private tracts join the ranch’s western boundary. The ranch consists of two parcels – the headquarters and the southern unit. Consisting of 920 acres, the headquarters extends west to east for over four miles along the floor of the Seamans Creek Valley and includes the irrigated portion of the ranch and all of the residential and ranch improvements. The headquarters is flanked by bald peaks and sharp ridgelines that rise almost 2,000 feet above the valley floor to elevations of over 7,000 feet. Three sizable canyons extend south from the headquarters, adding to the scenic beauty of the ranch as well as providing private access to thousands of acres of roadless public lands for hunting and hiking. Seamans Creek emerges from springs located on the eastern end of the headquarters and flows west toward Bellevue as it bisects the ranch and provides water for irrigation and the three lakes on the property. Lying a quarter-mile south of the headquarters, the ranch’s southern unit consists of 630 acres and is surrounded by BLM and state lands. The southern unit also encompasses a 40-acre parcel owned by the State of Idaho. In contrast to the headquarters, the southern unit encompasses higher elevation lands and features heavily timber, north facing slopes in addition to open grasslands. This parcel is used for seasonal livestock grazing in conjunction with the ranch’s public land grazing leases. The EE-DA-HO Ranch is located in the foothills of the Pioneer Mountains in its own east-west facing valley just east of the small community of Bellevue, Idaho and 25 minutes south of the mountain resort of Ketchum/Sun Valley. Access to the ranch is direct from Bellevue on the county-maintained Muldoon Canyon Road. The town of Hailey, county seat for Blaine County and the Wood River Valley’s principal service center, is 10 minutes north of the ranch and home to Friedman Memorial Field, which offers commercial air service and a fixed-base operation, Atlantic Aviation. Delta/Skywest and Horizon Airlines service the airport and offer daily flights to Salt Lake City and Seattle. In addition, United Airlines has recently begun daily, nonstop winter and summer jet service between San Francisco and Sun Valley. Sun Valley Aviation offers a suite of private aircraft services, and Friedman Field is capable of handling large private jet aircraft. 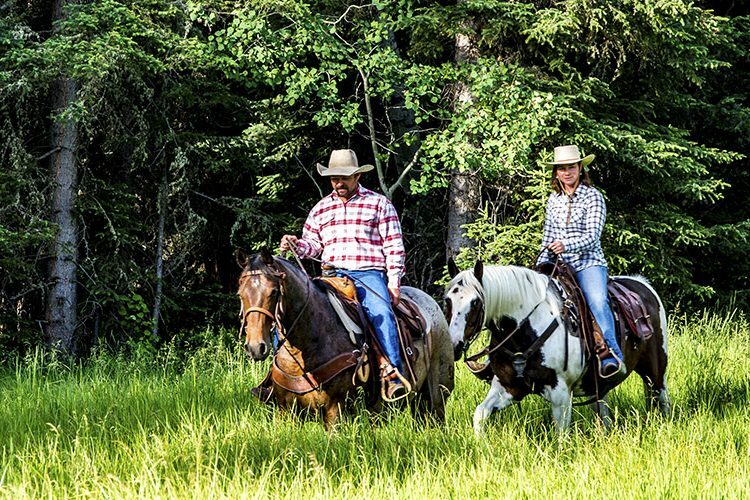 With the EE-DA-HO Ranch, one is able to take advantage of the amenities and activities typically found in a first-class resort community while also enjoying the low-key lifestyle afforded by rural living. As part of the larger Sun Valley community, an owner has access to one of the nation’s most prestigious year-round resort areas. Top-rated golf courses and tennis facilities, fine dining and cultural opportunities, mountain-biking and hiking trails, and world-class downhill and cross country skiing are all available within an short distance of the property. At the same time, the ranch encompasses its own valley that offers a rural, uncluttered setting with high quality wildlife resources and unimpeded mountain vistas only minutes away from Sun Valley’s more populated communities. After spending a busy day enjoying Sun Valley, the EE-DA-HO offers a pristine and tranquil retreat to return home to. The elevation of the EE-DA-HO Ranch ranges from approximately 5,400 feet at the owner’s residence to 7,500 feet at the southern end of the ranch at its highest point. The climate for the Bellevue area is best described as semi-arid with an annual precipitation of 12 inches and over 300 sunny days per year. Summers are warm with the temperatures reaching into the low 90s and cooling to the mid-40s at night. Winters are generally cold, with an average maximum temperature from November through February 36 degrees and an average minimum temperature during the same period of 12 degrees. Located southwest of the ranch buildings, the owner’s home is surrounded by spectacular gardens, mature trees, and multiple water features representing 20 years of vision and commitment from the owner in developing this verdant setting. The grounds are highlighted by a large lake to the west that offer excellent fishing for overgrown trout as well as habitat for a variety of water loving wildlife. Designed by Jim McLaughlin of Sun Valley, the residence is a single-story, custom-built home consisting of approximately 5,885± sq. ft. and situated to take advantage of 360-degree mountain and valley views. It is comfortable yet sophisticated, and the interior reflects the many happy years that the owners and their family have spent at the ranch.There are five bedrooms, three and one-half baths, three wood burning fireplaces, gourmet kitchen, great room, den, library, gym and attached two-car garage. Underground utilities service the residence.Additional improvements include: 1,176± sq. ft. manager’s residence plus 576± sq. ft. garage, two modular homes for ranch employees 113’ x 40’ steel shop and ranch office building, 40’ x 47’ horse barn adjacent to the owner’s residence, 65’ x 25’ four-bay equipment storage building, 50’ x 180’ steel frame hay storage shed (1,000 ton capacity) working corrals, calving barn, and 12,000 lb. electronic scale. Blaine County property taxes are approximately $10,303 annually. 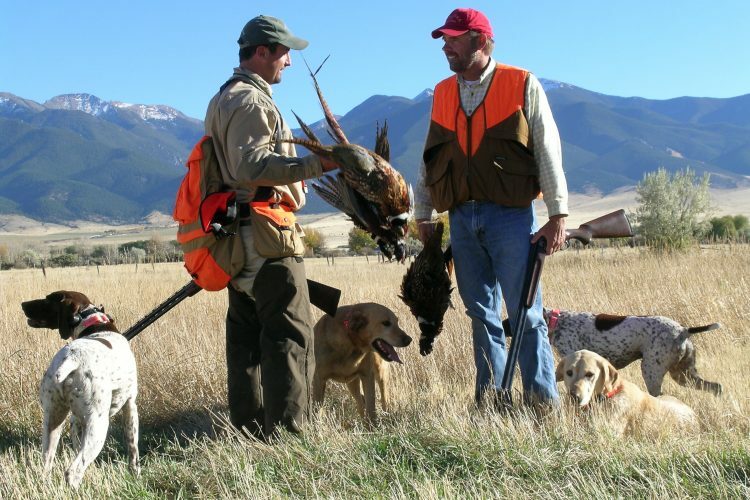 It is often said that the Sun Valley area offers Idaho’s best combination of trout fishing, big game hunting and wing shooting, and the Little Wood Headwaters Ranch lies in the heart of it all. From 3 trout-filled, spring-fed lakes on the property featuring rainbow trout over 20 inches to classic spring creek fishing on world renown Silver Creek to the excellent freestone fishery of the Big Wood River, one is only a short distance away from an outstanding fishing experience. Just 15 minutes south of the ranch, Silver Creek is among the crown jewels of western fly-fishing.Beginning with the stretch of water through The Nature Conservancy’s Silver Creek Preserve, there are miles of spring creek habitat and outstanding fishing downstream to Silver Creek’s confluence with the Little Wood River. Fabled insect hatches, eager but selective surface-feeding rainbow and brown trout, and an unlikely high desert setting combine to make this historic spring creek a remarkable place to “wet a line.” Should one have his or her fill of spring creek fishing, the Big Wood, Little Wood, and Big Lost Rivers offer excellent freestone fisheries with plenty of public access. Located five minutes west of the ranch, the Big Wood River, an outstanding rainbow fishery, flows south through the Wood River Valley. This medium-sized mountain stream offers dozens of public access points, a catch and release section, and steady hatches. Rainbow trout growing to 20 inches are the predominant sport. The area is also rich with upland birds and waterfowl. Chukar partridge are plentiful on the hillsides, ridgelines, and rock outcroppings on the ranch and throughout the surrounding foothills. Blue grouse are found on the ranch’s highlands near springs, aspen stands, and riparian areas. Ducks and geese utilize the spring-fed lakes on the ranch on a seasonal basis or until colder temperatures push birds south. Serious waterfowl hunters can find quality shooting at Silver Creek Preserve or along the Snake River an hour south of Bellevue. The region also boasts strong populations of big game. The mountains, foothills, and canyons surrounding the ranch teem with elk, mule deer and pronghorn. Moose, black bear, and mountain lion also reside locally. Each of these species is drawn to the EE-DA-HO by the desirable combination of water, forage and cover. 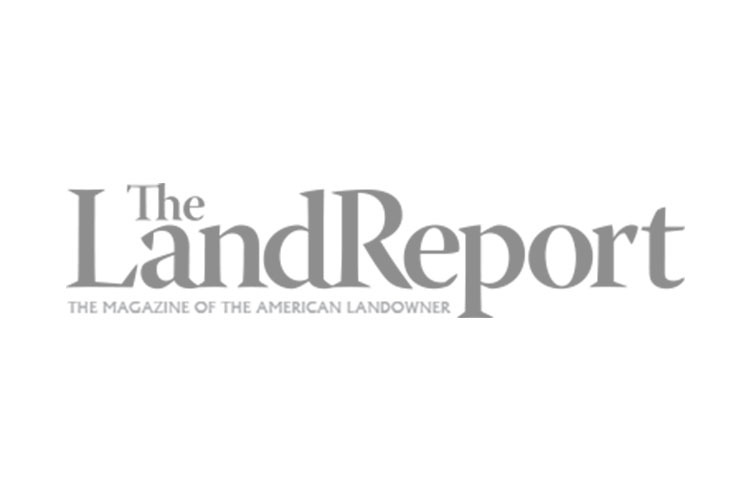 Because the property consists of at least 640 acres, the owner of the ranch is eligible for a landowner appreciation permit from the Idaho Fish and Game Department to hunt elk, deer and antelope on the ranch or other areas within hunt unit 49. In addition to hunting and fishing, the Sun Valley area offers a variety of world-class, year-round outdoor recreation activities a short distance away from the ranch.Winter activities include downhill skiing on famous Bald Mountain and cross-country skiing, snowshoeing, and snowmobiling on the area’s extensive winter trail network. During the summer and fall, the area’s diverse topography offers unparalleled hiking, backpacking and mountain bike riding. Blaine County is also blessed with tens of thousands of acres of BLM and national forest lands, which provide unlimited opportunities for one to experience the best of Idaho’s backcountry. The current agricultural operation is based on leasing pasture to graze cow-calf pairs from late spring through early fall. Cattle utilize the ranch’s irrigated pastures as well as adjoining BLM and state lands on which the ranch enjoys exclusive grazing privileges. There are excellent water rights from Seamans Creek delivered via an underground mainline to wheel-line and hand-line sprinklers on the western portion of the ranch.